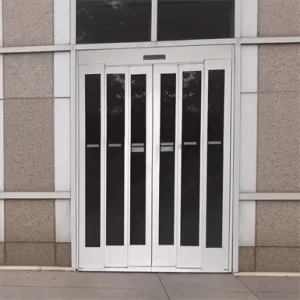 The Megadoor vertical-lift fabric crane door from ASSA ABLOY Entrance Systems allows bridge cranes to pass easily and securely through your operation’s entrance way, free of tight-squeezing side rooms, snagging old doors, and bumpy floor tracks. The single largest benefit of a Megadoor crane-way system is that it is one door system and is designed specifically around the bridge crane. 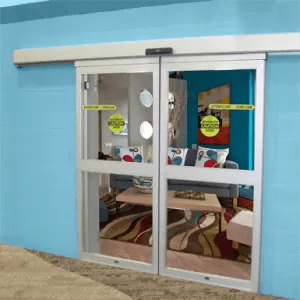 From 30ft/9.14m wide to 200ft/60.96m wide, our doors can accommodate virtually any size or configurations. 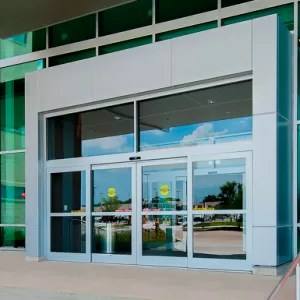 Meet the specific application requirements for your entrance door, such as resistance to high wind loads, extreme weather, and corrosive environments. 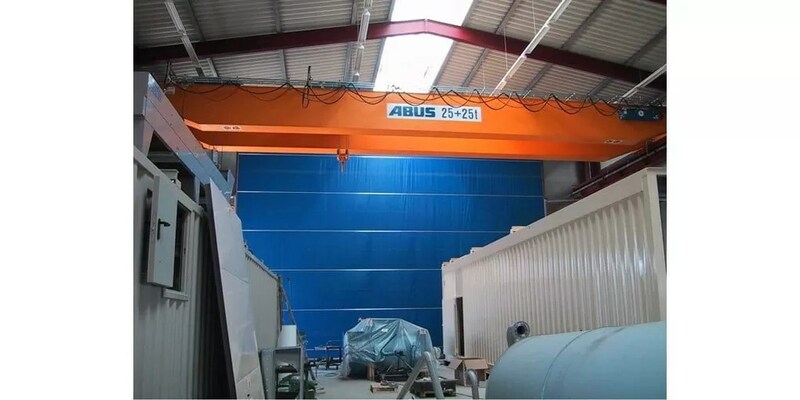 Ensure a reliable, custom-fit, and long-lasting door that will ensure smooth and safe operations for your cranes, equipment, and supplies. 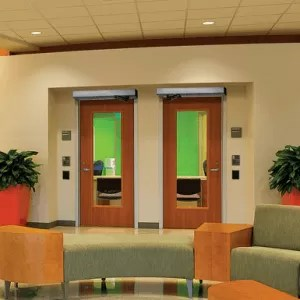 Increase your bottom line with a long-lasting entrance system that provides lower construction costs and minimum operating and maintenance expenses.